Macau has both southern Chinese and Portuguese food due to its location and history. We went to Boa Mesa, a Portuguese restaurant recommended by my cousin’s friend, who splits her time between Hong Kong and Macau. Almost everything on Boa Mesa’s menu were new to us since we’ve never had Portuguese food, so we asked our waitress for recommendations. Boa Mesa also happens to have a “Chef’s Recommendations” section which was helpful! Both the waitress and the menu suggested salted cod with eggs and potatoes. 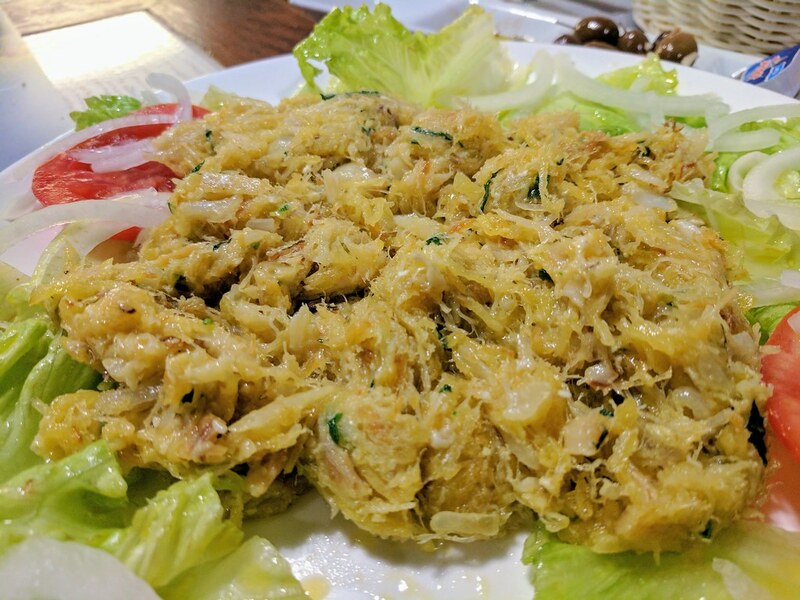 Bacalhau à Brás originated from the Bairro Alto district of Lisbon and combines shredded [cod] with thinly cut potatoes bound together by scrambled egg. Bacalhau à Brás is a Portuguese dish using salted cod (bacalhau), eggs, and potatoes. The Portuguese were one of the first European cultures to fish for cod, making huge harvests and preserving the fish off the coast of Newfoundland shortly after Columbus discovered the New World. Since then, this salted cod has been an integral part of Portuguese culture, and it’s often said that you can cook a new recipe using bacalhau every day of the year (some say there are over 1,000 recipes that include this fish). Advances in fishing technology in the mid 20th century had collapsed the Northwest Atlantic cod market by the 1990s – cod takes a long time to mature, and overfishing had run rampant. Today, bacalhau is most often made using cod harvested from Arctic waters under more strict quotas. 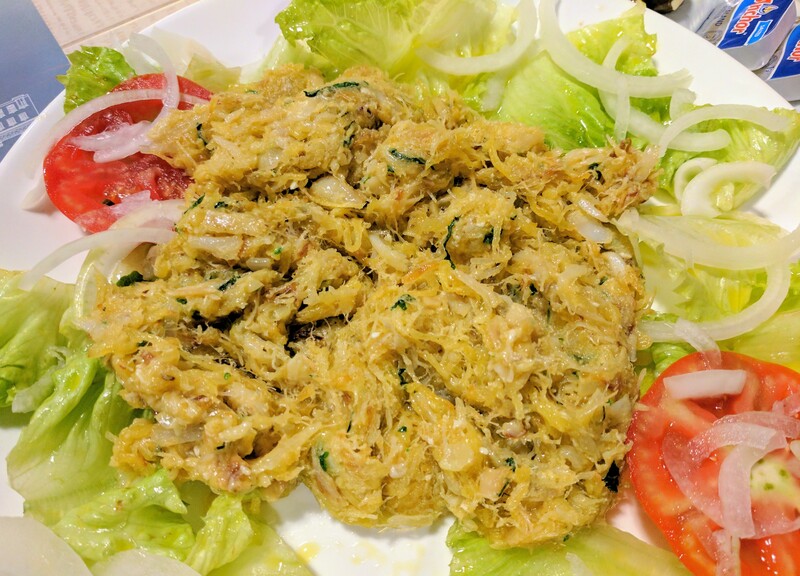 Bacalhau à Brás is one of the most famous Portuguese dishes, and is considered the ultimate comfort meal in Portugal. The dish uses many of the quintessential ingredients found in Portuguese cooking – bacalhau, eggs, potatoes, and black olives.